The Milwaukee Brewers cut the Chicago Cubs' lead atop the National League (NL) Central to half a game in MLB. 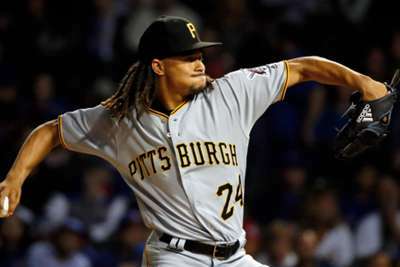 The Brewers were beaten by the Pirates at the trade deadline when Pittsburgh acquired power righty Chris Archer from the Tampa Bay Rays. But it was the Cubs who came out on the wrong end of the deal on Tuesday. Milwaukee and Chicago are embroiled in a serious battle for the top spot in the NL Central. Coming into Tuesday's games, the Brewers had cut the Cubs' division lead to 1.5 games. It is an uphill battle for the Brewers to win the division. A battle in which they need some help as the two teams do not play again this season. 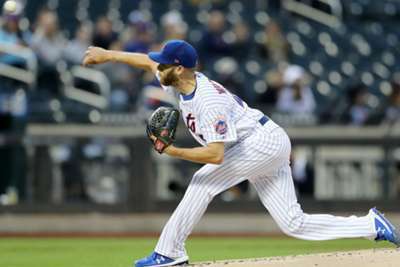 Assistance came from Archer on Tuesday as he held Chicago scoreless through six innings while allowing just four hits and striking out nine. Pittsburgh ultimately won the game 6-0, and by virtue of a 12-4 win over the St Louis Cardinals, Milwaukee have now cut the Cubs' division lead to just half a game. Christian Yelich again strengthened his MVP candidacy as he went two for six with six RBIs in the win. His RBIs came on a bases-clearing triple in the fourth and a three-run homer in the ninth. Milwaukee may not have gotten the ace their rotation so desperately needed at the trade deadline, but they still found a way to get an assist from another one. Also, by virtue of their loss to Milwaukee, St Louis are now in a tie for the second wildcard spot with the Colorado Rockies, who dropped the Philadelphia Phillies 10-3. Max Scherzer threw seven innings of one-run ball in a 9-4 win over the Marlins. In the game, the three-time Cy Young winner struck out 10 batters and has now eclipsed the 300-strikeout mark for the season. Scherzer tallied 18 double-digit strikeout games this season and is the 17th pitcher ever to amass 300 strikeouts in a season. Mets starter Noah Syndergaard tossed six scoreless innings, allowing just three hits and two walks against the Braves. The problem was his bullpen imploded, surrendering seven runs over the next 1.1 innings, leading to a 7-3 loss to the Braves. Phillies starter Vincent Velasquez gave up six runs in 3.2 innings in a loss to the Rockies. Tougher still, Velasquez gave up seven two-out hits and five two-out runs. Rays starter Jake Faria saved himself by catching a line drive off the bat of Aaron Judge. He could not save the A's from getting one game closer to New York in the American League wildcard race as Tampa Bay fell 9-2. 109 mph off the bat. The Dodgers have to win every game they can as the Rockies are charging for the division. All-Star Ross Stripling (8-5, 2.84 ERA) takes on Zack Greinke (14-11, 3.21) who has held Los Angeles to a .205 batting average this season and .252 in his career.